My favourite way for top up. For RM30 you get RM35 credit immediately Isn't this very good? When will this top up available? Currently we are in the middle of renewing top up service. Qoo10 top up will be close temporary until further notice. Apologies, I did not aware there is a online-topup button where we need to fill in the number to get the top up. Thank you very much. I have receive my credit. 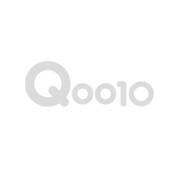 Thank you for your Question, please email to our Customer Service in this link https://www.qoo10.my/gmkt.inc/CS/NHelpContactUs.aspx by clicking ASK A QUESTION or call 03-2027-4737 and will get back to you soon with the answer. Is the top up come with rm35 ? No. The extra RM5 promotion has ended. Kindly provide us with your Order No. in order to investigate further. We will solve this issue for you as soon as possible. I did not receive the text message when i keyed my phone number, We sent confirm code already. Please check that your mobile number is correct. If it doesn't arrive despite the correct number, please inquiry at the help.